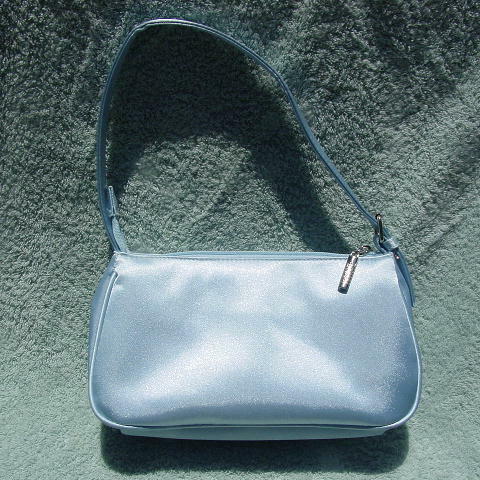 This never-used Disney purse is in a shiny light blue (probably polyester) fabric. 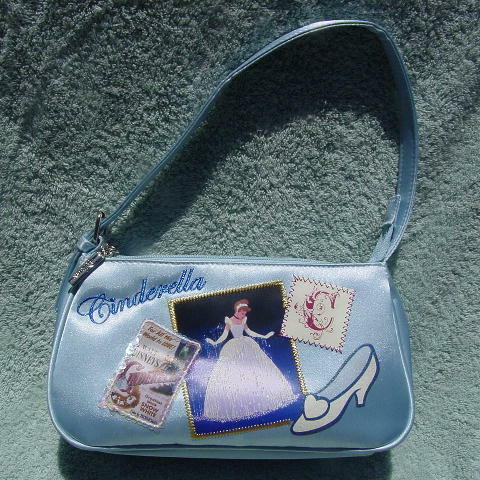 It has a top side to side zipper with a silver-tone pull with Disney etched on both sides. There is some padding between the exterior and polyester light blue lining. 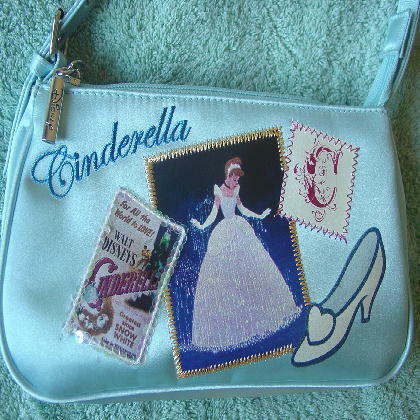 The front has a glittery surface on the Cinderella shoes and three sewn-on patches; one of the Cinderella movie poster which has clear iridescent sequins along its edges, one of a C, and a large one showing Cinderella in her ball gown. There is a 19" by 5/8" adjustable (buckle and 3 holes) strap. Cinderella is embroidered in a metallic dark blue on the upper left side.